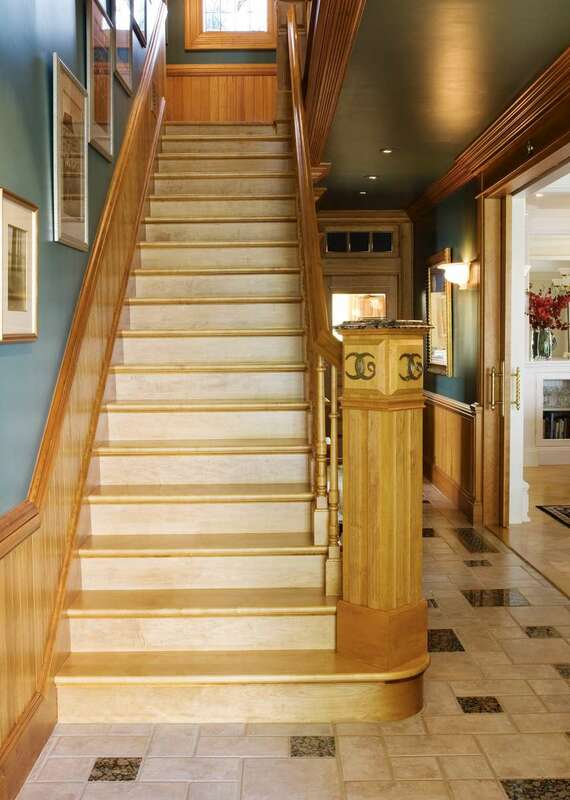 The stairs were rebuilt to code with styles from patterns in catalogs of the 19th century. The wainscoting is individual beaded boards of clear pine. The hall floors are italan tiles with inset granite tiles to be garden steps. The logo of brass was made in Lunenburg.